Yesterday evening we stood at the finish line of the Montane Spine Race in Kirk Yetholm and witnessed a little bit of running history being made. Jasmin Paris, inov-8 athlete, crossed the finish line in first place overall in the race, smashing both the men’s and women’s records in the process. There are so many remarkable things about this run that it’s hard to know where to start. This race is well known for being incredibly tough. 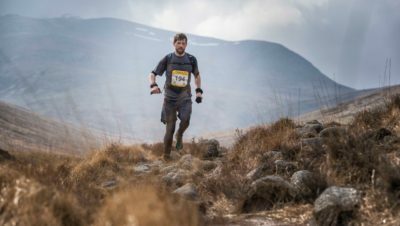 It consists of the entire 268 miles of the Pennine Way, starting in Edale and finishing in the Scottish borders, taking in the Peak District, Yorkshire Dales and Cheviots along the way. The January weather can also pose many problems. While it was quite benign this year there were still high winds and cold nights to contend with. It’s a non-stop race, so the clock keeps ticking for the runners until they stop. There are no set stages, just checkpoints where runners are able to sleep when they need to. So there are were many aspects for Jasmin to contend with, many things that could go wrong, many things that could derail your race. And there was some tough competition in the race too. Eoin Keith, the men’s record holder, Jayson Cavill, who was hotly tipped, John Knapp and Eugeni Eugeni Roselló Solé. You will notice these names are all male. We will talk about the women’s race in a minute, but for Jasmin, her main competition was always going to be the men. For much of the race Eugeni was snapping at Jasmin’s heels, perhaps benefiting a little from her navigation skills and pace-setting. Many runners could have let this break them mentally, but not Jasmin. Jasmin just focussed on putting distance between her and Eugeni, so she could run her own race. And once she made that break, there was just no way that Eugeni was going to be able to catch her. The Spine Race is a game of strategy and Jasmin played it incredibly well. 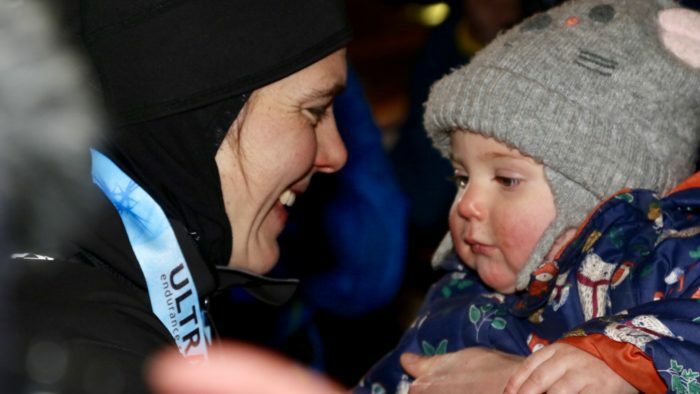 One other really remarkable thing about Jasmin’s race is that as she is mother to a 14 month old daughter, she was reported to be expressing milk at checkpoints during the race. One challenge that her competitors didn’t have to deal with, but another reason to be in awe of her achievement. And just what an achievement this has been. 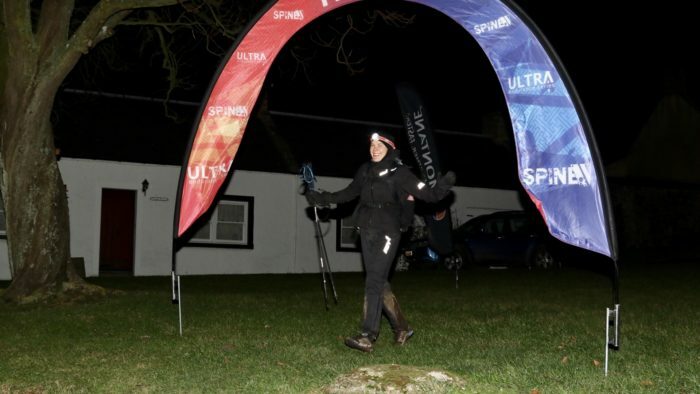 A woman winning one of the UK toughest ultras outright, but in such a dominant style, taking over 12 hours off the men’s record. And the question is, will the women’s record now be quicker than the men’s record? Or will the organisers decide to just have one course record? Jasmin Paris is already redefining the rules for men and women competing together. Having already finished second overall at Dragon’s Back and being the women’s record holder for all three UK rounds (in the case of the Ramsay Round she has the fastest overall record) this will come as no surprise to many. But it is without doubt a historic performance for women’s running, and running in general. 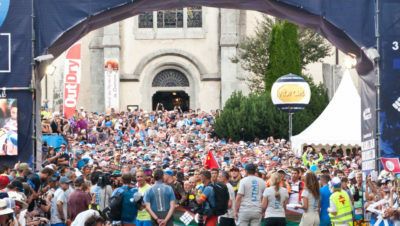 Sadly, Eugeni, who was around 10 miles behind Jasmin when she crossed the line, had to withdraw from the race at the final checkpoint, a mere 6km from the finish. He was too exhausted and cold to continue, having given absolutely everything. He was on course to break the men’s record as well, but it just wasn’t to be. This just shows what an incredibly cruel race this is. Eoin Keith is closing in on the finish as we speak to win the men’s race and John Knapp looks set to be second. In the women’s race Shelli Gordon in second at 220 miles and Gabriele Kenkenberg is in third. Let’s not forget that this race will carry on for another three days yet and in conditions which look to be worsening. 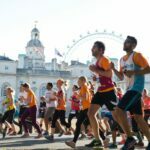 Keep dot watching and keep supporting the runners! We’d like to congratulate Jasmin Paris on her incredible achievement, and we are so glad we got in the car yesterday and drove up to witness her finishing! It was truly an amazing moment, made even more incredible by the community of runners who gathered to cheer her in. With an interview on BBC Breakfast News happening as I write, it seems that Jasmin’s profile has just got a bit bigger, and hopefully so has women’s ultra running and the reporting of it.